Opening from the eave to grade, the drop wall aids in the evacuation of heat from upper areas of house. Lengths available up to 240' long, height to 12' tall. Crop roots are not subjected to cooler air immediately. 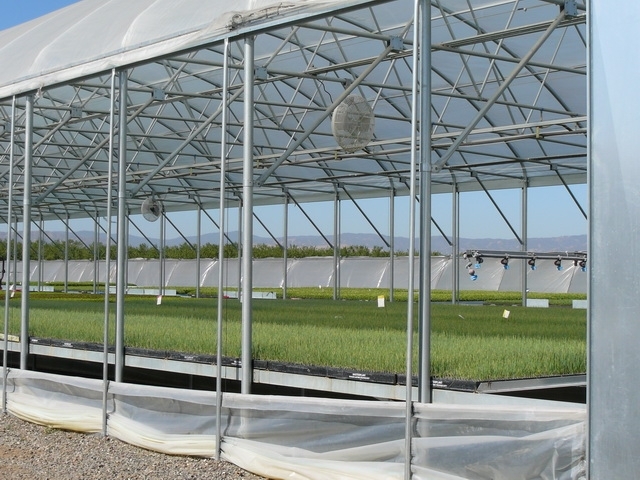 The drop wall can be used for air pruning and access to the crop from the sidewall. Steel aircraft cable with steel pulley system operates the wall.